Camping is already enjoyable, and it can be even more fun with a golf cart in tow. They are a great way to do many things for instance, you can use them to get all of your gear from your car to your sight without making multiple trips, you can add a lot of really fun accessories to make them even more useful and enjoyable, and they are a great way to spend time with family or friends! You can transport your gear faster. If you are tent camping or if you have a lot of gear while camping in a recreational vehicle, a golf cart can be a very useful tool. In some more remote campgrounds you may have to travel through wooded sections to get to your camp site. 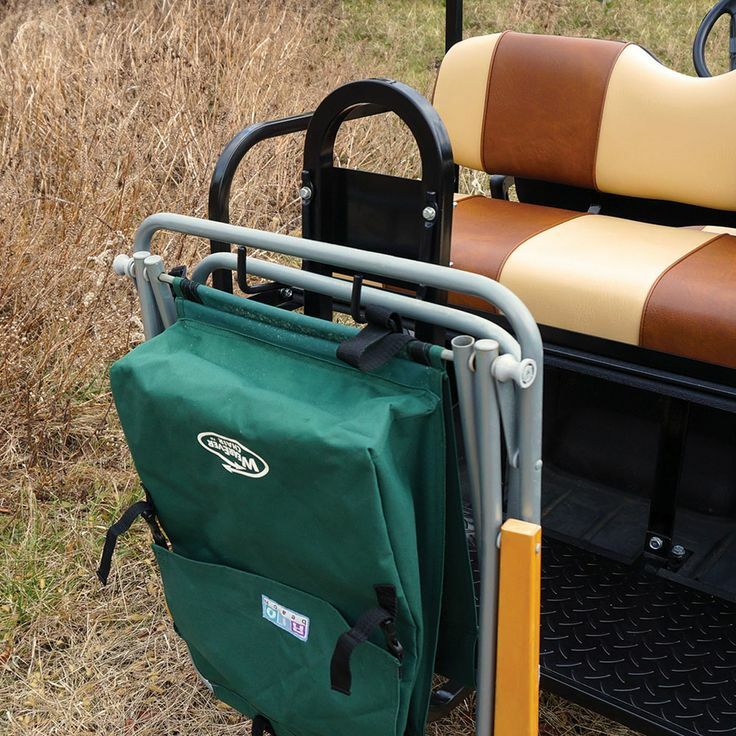 In this case, you can load up your golf cart with all of your gear and drive to your site. This prevents you from having to make multiple trips while lugging heavy gear. 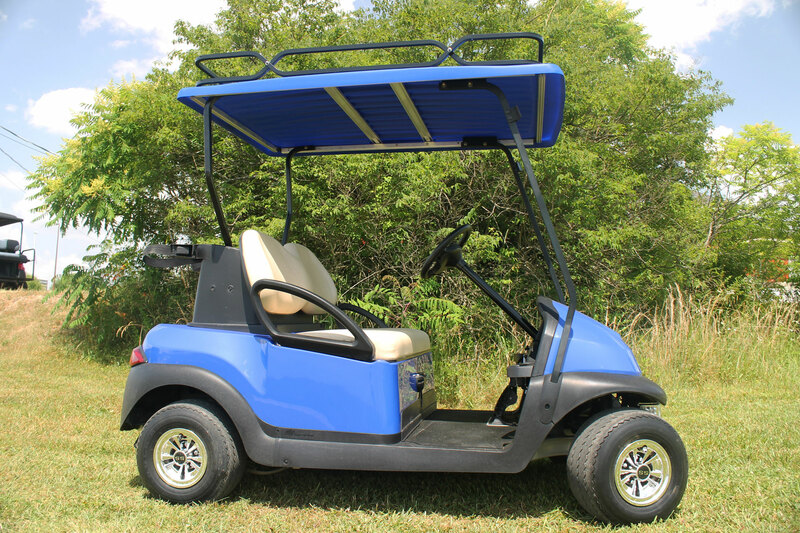 There are a lot of neat accessories you can add to your golf cart to make them more useful and enjoyable. Fishing rod holders attached to your golf cart so you can fish and spend more time hanging out with your friends or family. LED or Halogen light kit, so you can turn the lights on at night and stay up later hanging out with the family and still be able to see. Rear flip-down seat kit so you can fit more people on the cart. More people equals more fun! 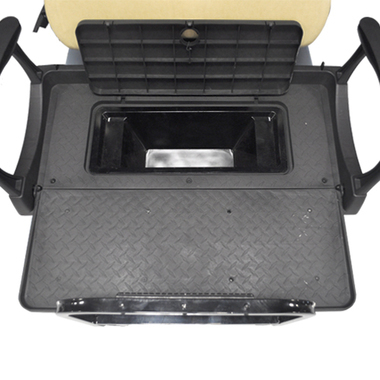 Built in coolers,the Genesis 250 Rear Seat Kit has a place for a built in cooler. This allows you to bring cold drinks and snacks with you everywhere you go. Roof racks allow you to carry equipment to the beach or fishing spot without taking up space for passengers. That can be very useful if you have a lot of gear to bring. Beach chair holder, most safety grab bars have a spot that allows you to attach a beach chair holder. Golf carts are a great way to make your camping trip even more enjoyable than it already is, and who doesn’t like to have more fun?